With more than 30 years of experience as an Investment Advisor and holding a Bachelor of Commerce (Honours) Degree in Finance, Sandy has experience in the management of tax effective income generating investments. After a seven-year career with a multinational professional services firm as an audit and tax manager, and a Financial Advisor role at a well-known North American wealth management corporation, Sandy joined TD Wealth in January 1995. Sandy is a member of the TD Wealth Private Investment Advice President's Club which is awarded to Investment Advisors who exceed business financial goals, maintain a high level of professional business conduct throughout the year, and consistently demonstrate integrity and the highest ethical standards. As a licensed Portfolio Manager specializing in dynamic portfolio management, Sandy has been resolute and single-minded in his primary objective of delivering his clients credible investment and tax planning strategies. Helping his clients with portfolio protection is fundamental to his approach, which is based on a detailed understanding of the precise personal and professional situation, and long term financial and wealth accumulation goals - of every individual and organization he advises. We believe that wealth management embraces far more than day-to-day investment advice. It includes financial and lifestyle preservation, retirement planning, inter-generational wealth transfer, legacy creation and more. Ultimately, all are inter-connected and a strategic approach to wealth management is key. Standing at the heart of our practice is the one-on-one relationship we build with each client. That relationship is driven by a high level of personal trust, communication and understanding. Our clients expect, and our goal is to provide, exceptionally personalized investment advisory services. Like you, they expect competitive investment returns where capital preservation, security, and the prudent management of risk, is fundamental. Your customized plan is as individual as your needs, and will change over time. When you need other specialists to help you reach your goals, we have the solution. 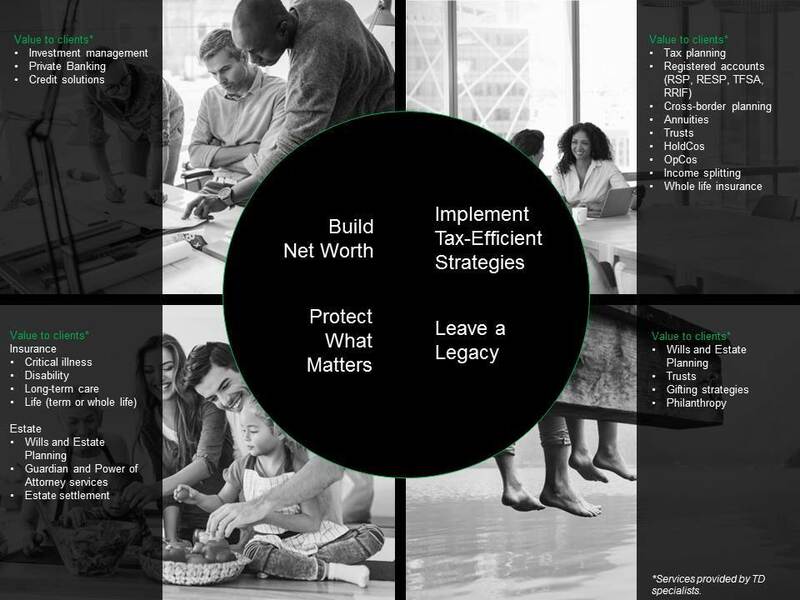 TD specialists are here to provide the same attentive service you've come to expect from your investment team. With your permission, we will engage a TD specialist to address your specific needs. Rest assured that we will remain your primary point of contact at all times. When appropriate, we can also work alongside your other professional advisors to help ensure your wealth plan incorporates the various aspects of your personal and professional life. In addition to the work we perform for high net worth individuals and their families, we also represent holding companies, small business owners, condominium corporations, trusts and charitable foundations. With more than 40 years of experience in the industry, Ian brings a wealth of experience to the table and acts as the first point of contact for many of the team's largest clients. After graduating from Loyola University with a Bachelors of Business Administration in Finance, Ian spent 20 years working as a branch manager in a prominent South African bank before joining the team in 1996. Ian specializes in trade execution, conducting client reviews, and the day-to-day management of client accounts. His experience as a branch manager enables him to recognize the importance of building client relationships and the significance of following firm procedures. David joined the team in 2015 after spending two years advising clients at the retail level. A graduate of University of Toronto's Management and Finance program, David has in-depth knowledge of the various investments out in the market today. David is primarily responsible for the management of client portfolios, including trade execution and security analysis for the team's proprietary model portfolios. He also plays a vital role in developing financial plans and proposals for clients and prospective clients. David is a Certified Financial Planner® (CFP) and a Chartered Investment Manager® (CIM) and has completed all three levels of the CFA program. Lou brings with him over 14 years of experience, having previously worked at another major financial institution in Downtown Toronto as an Associate Investment Advisor. 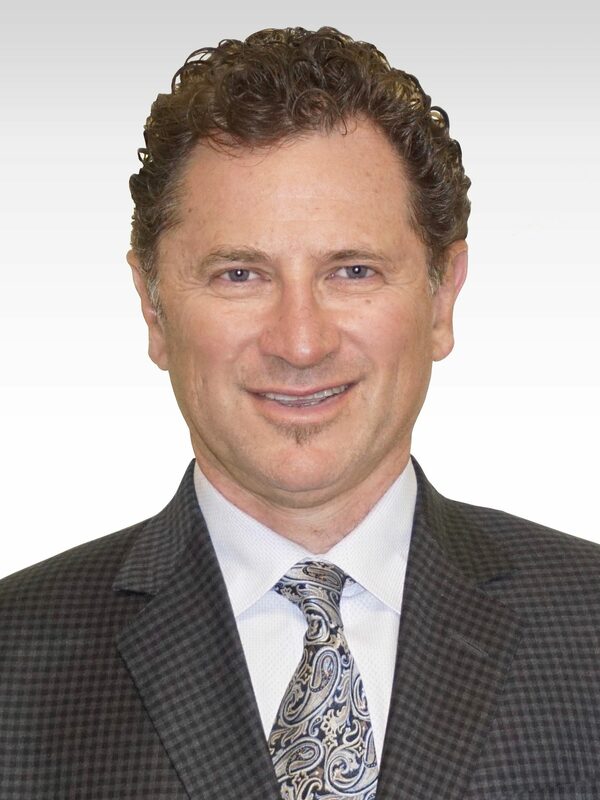 Lou will endeavor to add to the team's commitment to provide a high level of service by striving to deliver a legendary client experience through his ability to connect with clients in identifying their financial goals and unique circumstances. Lou is currently pursuing his Chartered Investment Manager (CIM) designation.